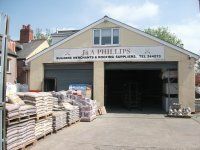 J & A Phillips is a local, family owned and run Independent builders' merchants that has been established 35 years. Our doors were first opened as a small DIY shop on Corporation Road, Newport in 1983 by John and Anne Phillips. Due to their hard work and commitment, the business really took off and after a few years they moved to a larger premises on Granville Lane. After trading here for nearly 30 years, we moved from our beloved shop on the 5th February 2018 to Maesglas in order for us to stock more products and be more productive for our customers. Anne is still heavily involved with the business but the general day to day running is with her daughter, Christine and son in law, Mike. We pride ourselves on being able to provide a good, old fashioned, personal service to our trade and DIY customers that you just don't get from the larger companies. Many of our staff have worked here for over 20 years. During that time they have developed a lot of knowledge and experience. That allows us to be speedy and efficient with our regular trade customers whilst having plenty of time to offer advice and support to people embarking on a bit of DIY. 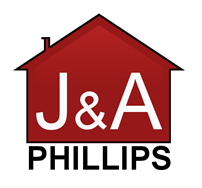 Why Choose J & A Phillips? We offer a one stop shop for a huge range of building materials and can supply your project from the foundation stages to the roof. We offer an excellent, reliable and fast delivery service in Newport and surrounding areas. You can of course always collect materials yourself and we will load your vehicle for you. Account enquiries always welcome. Please complete our application form. If you feel that we are the right company for you make sure you call us on 0800 025 7086. Alternatively you can send us a message by filling in the 'Contact Us' form on this website. We hope to hear from you soon!